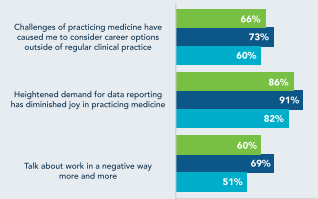 A survey of 300 physicians who have worked in the field for more than four years finds that those who are employed by hospitals experience higher levels of burnout than those who work in independent practices. Seventy-two percent of EPs report lower empathy for patients versus 57 percent of independent MDs. 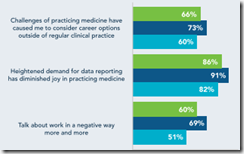 Physicians in all employment categories listed the increased demand for data reporting as the biggest detriment to the joy they previously found in practicing medicine. December 6 (Thursday) 11 ET. “Make the Most of Azure DevOps in Healthcare.” Sponsora few organizations across the country are demonstrating success using advanced technology tied to intuitive processes and procedures. : CitiusTech. Presenter: Harshal Sawant, practice lead for DevOps and mobile, CitiusTech. Enterprise IT teams are moving from large-scale, project-based system implementations to a continuously evolving and collaborative process that includes both development and business teams. This webinar will review healthcare DevOps trends and customer stories, describe key factors in implementing a DevOps practice, describe how to assess Azure DevOps, and lay out the steps needed to create an Azure DevOps execution plan. Updox adds secure patient texting and group messaging features to its healthcare CRM software. Healthcare website and app development vendor Medical Web Experts announces GA of its new MWE Cloud hosting service. Milwaukee-based RCM vendor Sift Healthcare secures $1 million in funding from Winnebago Seed Fund and Wind River Financial, which will help the startup develop and market predictive analytics related to claims workflows, reimbursement, and patient interactions. 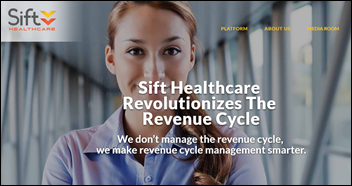 Formerly known as SiftMD, the company targets its technology and services to providers and RCM vendors. Ken Cunningham, SVP of analytics, seems to be the only employee with any sort of health IT experience, having served as VP of claims insurance analytics at LexisNexis. 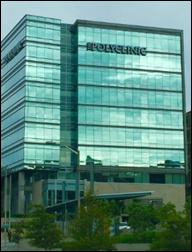 New West Physicians (CO) connects to CORHIO, giving its Denver-based primary care practices access to the HIE’s data-exchange services. 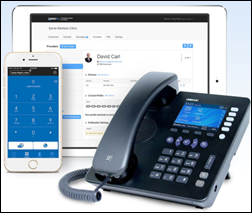 Amion adds streamlined on-call scheduling and call-routing capabilities from RingRx to its physician scheduling software. Remote patient monitoring company ImagineMed selects patient data protection services from Black Ridge Technology. 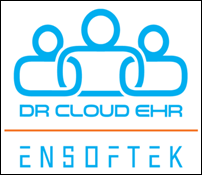 Software development and consulting company OmniSystems will market EnSoftek’s DrCloudEHR to primary care, behavioral health, and social services providers domestically and in the UK and Caribbean. 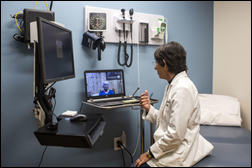 Per the 21st Century Cures Act, a CMS report to Congress on the state of telemedicine adoption bears out the technology’s potential to increase access to care and save money for Medicare beneficiaries. 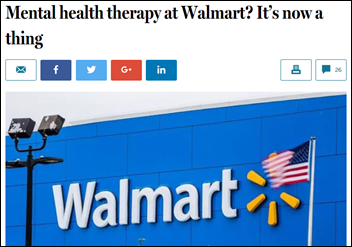 Utilization increased 50 percent between 2014 and 2016, with members in rural areas (with Texas being the biggest adopter) making up the bulk of visits for mostly mental health and chronic conditions. 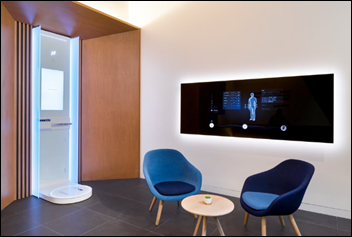 Of Medicare’s 35 million patients, just 90,000 took advantage of telemedicine, leading authors to surmise that utilization would skyrocket if just 1 percent of patients switched their brick-and-mortar visits to virtual consults. 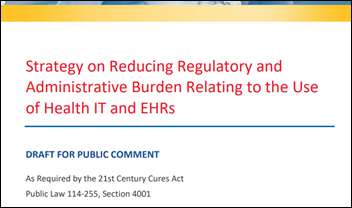 Reimbursement issues remain the biggest challenge to provider adoption of the technology. CMS announces the Artificial Intelligence Health Outcomes Challenge. The contest will launch next year, and will reward submissions that use AI to predict outcomes, and that can be incorporated into future payment and service delivery programs. 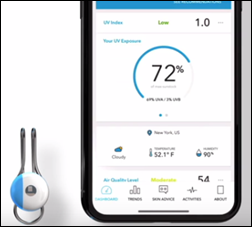 Just in time for my winter tennis season: L’Oreal releases My Skin Track UV, a battery-free wearable that measures UV exposure as well as other environmental factors, and offers skincare recommendations based on the gathered data. The device can store up to three months of data at a time, all of which can be shared with Apple Health via the companion app. Pleasanton, CA-based HintMD develops software physicians can use to offer monthly, subscription-based skincare treatments to their patients. The company has raised $15 million since opening for business in 2014. Co-founders Aubrey Rankin and Vojin Kos both came from pharmaceutical company Zeltiq, best known for its CoolSculpting fat-reduction technology. 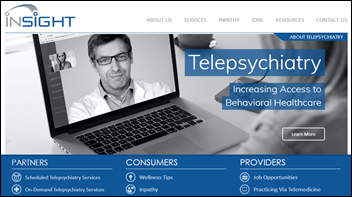 DrChrono announces GA of a physical therapy EHR bundle that includes smartphone, tablet, and practice and revenue cycle management software; plus patient engagement and telemedicine support from Physitrack. NextGen launches an API Marketplace featuring solutions from EHR Integration Services and Otto Health. 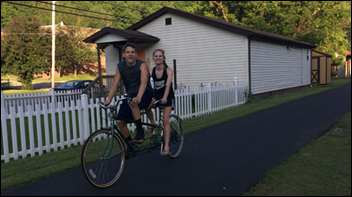 Amazing Charts announces GA of a population health tool for independent practices looking for help with chronic care management, to improve patient engagement, meet clinical quality measures, and identify and close care gaps. MRO patents IdentiScan, a feature within the company’s ROI Online software that scans for misplaced files during the health records request process. 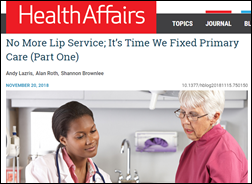 The technology helps to ensure accuracy and reduce the likelihood of an unintentional HIPAA violation due to mixed-up records, an occurrence that happens in one out of every 200 retrievals. Scientists are developing a set of wearables that can assist physicians in diagnosing, treating, and monitoring the treatment of mental health disorders like PTSD, depression, and anxiety. 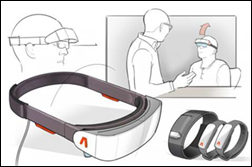 The SysteMD prototype includes a headset, wristbands and ankle band that can monitor a patient’s heart rate, perspiration, respiration, and pupil diameter, which proprietary algorithms then analyze to look for patterns that might indicate mental health issues. In early tests, SysteMD accurately classified 82 to 94 percent of PTSD patients. EClinicalWorks publishers customer success stories from Gastro Health and Big Sur Health Center.